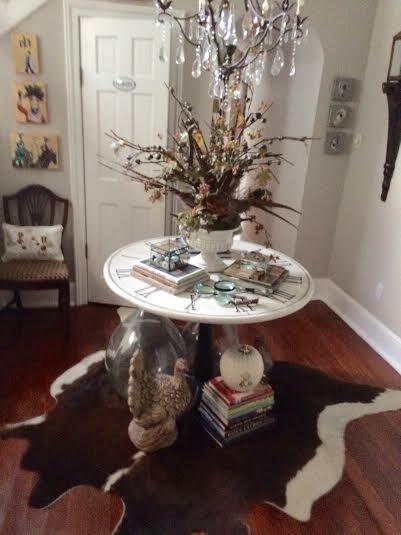 For the autumn season, I moved the cowhide rug from the parlor to the stair parlor. I feel it adds warmth to the wood floors. 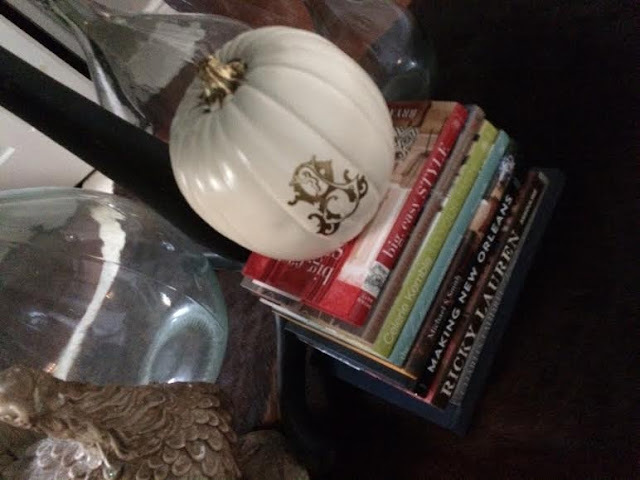 I shared the Fall arrangement with you in an earlier post. 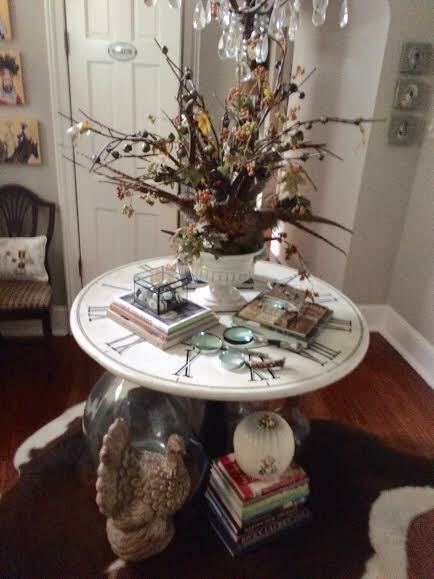 I love the way it fills the space. 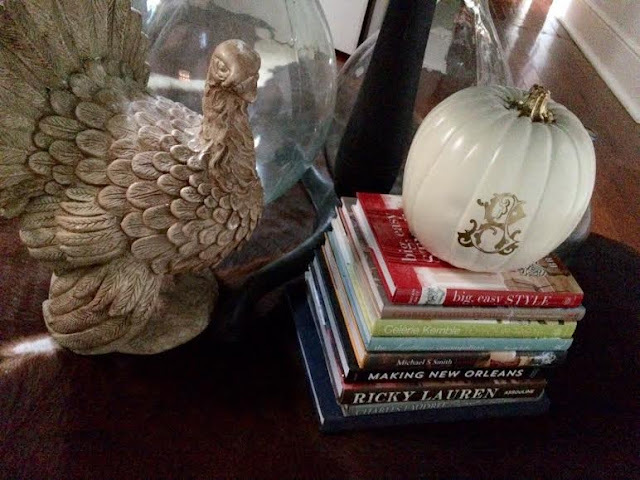 A monogrammed white pumpkin sits atop a stack of decorating books, and Tom the Turkey which I've had for years welcomes our guests. The stair parlor is such a great space to share the spirit of the season. 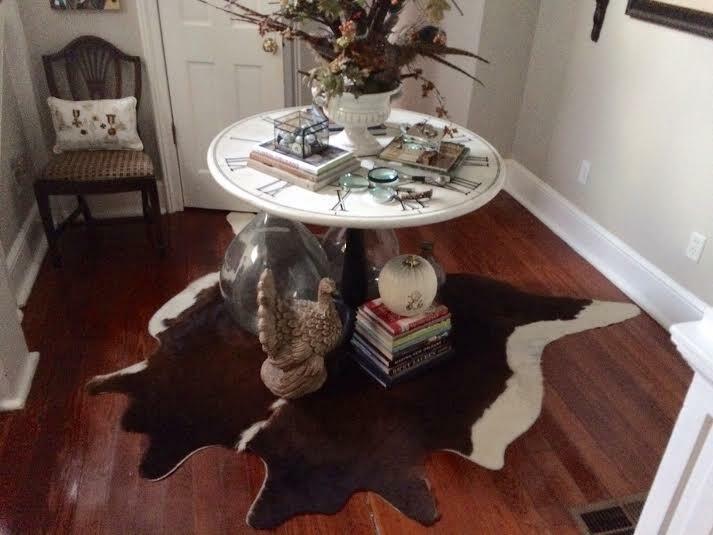 Lovely vignette and that cowhide is perfect! 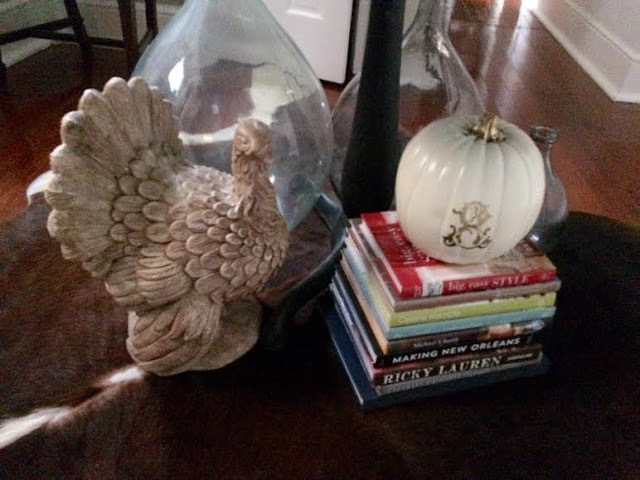 Very pretty, love the turkey. Have super weekend!